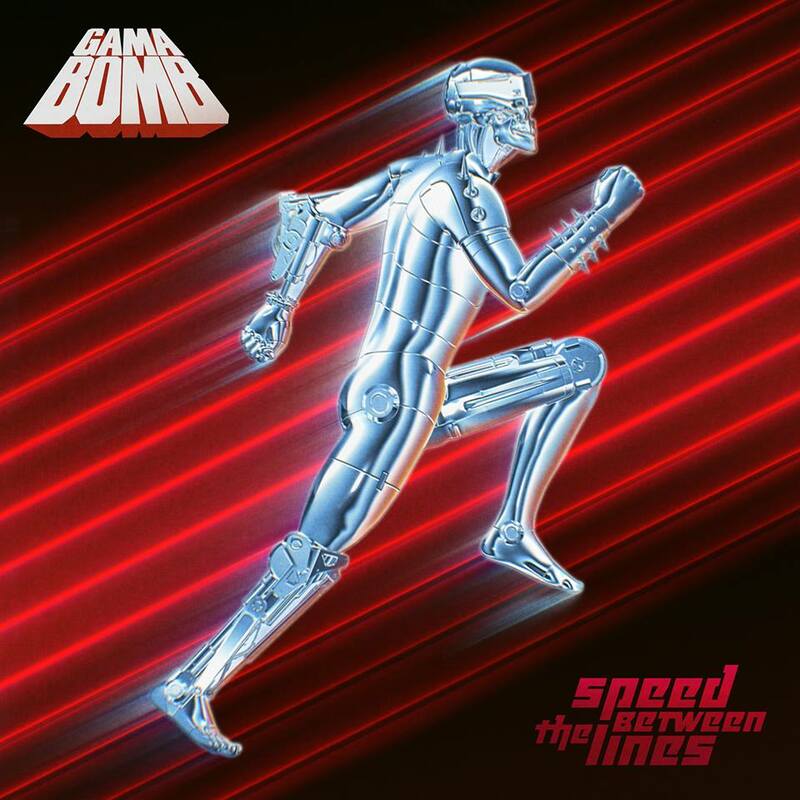 Three years on from their last album and 80’s loving upstarts Gama Bomb return to the fray with Speed Between The Lines…. and it’s a case of business as usual for these guys; which is to say twelve tracks of Bay Area style thrash laced with a healthy dollop of humour. Which is exactly what we need in these dark, dark days! Kicking off with the appropriately retro-titled “Give Me Leather”, it’s clear that Gama Bomb are just as crazy and just as fast as ever. Vocalist Philly Byrne still comes across like The Darkness’ Justin Hawkins gone thrash and Gama Bomb still like to have a laugh – see the Satanic teen rebellion anthem that is “666teen” for a fine example – but to their credit, they have no problem addressing some of today’s bigger issues with the self explanatory “Alt Reich’, and the blistering thrash of “World Gone To Hell” all capturing the essence of the less than rosy world we find ourselves inhabiting. Sixteen years on from their formation and Speed Between The Lines proves Gama Bomb are still putting out quality releases that will always get the ol’ neck muscles snapping. That said, while there are no bad songs to be found, Speed Between The Lines also lacks that killer song or two to raise it the level achieved with 2015’s Untouchable Glory.